With a thin brush, dip brush into mix and apply to eyes. You have the option of adding water or adding more Jojoba oil depending on what texture you like. I ended up adding more Jojoba oil to my mix. This eyeliner is great for blending in a smokey eye. 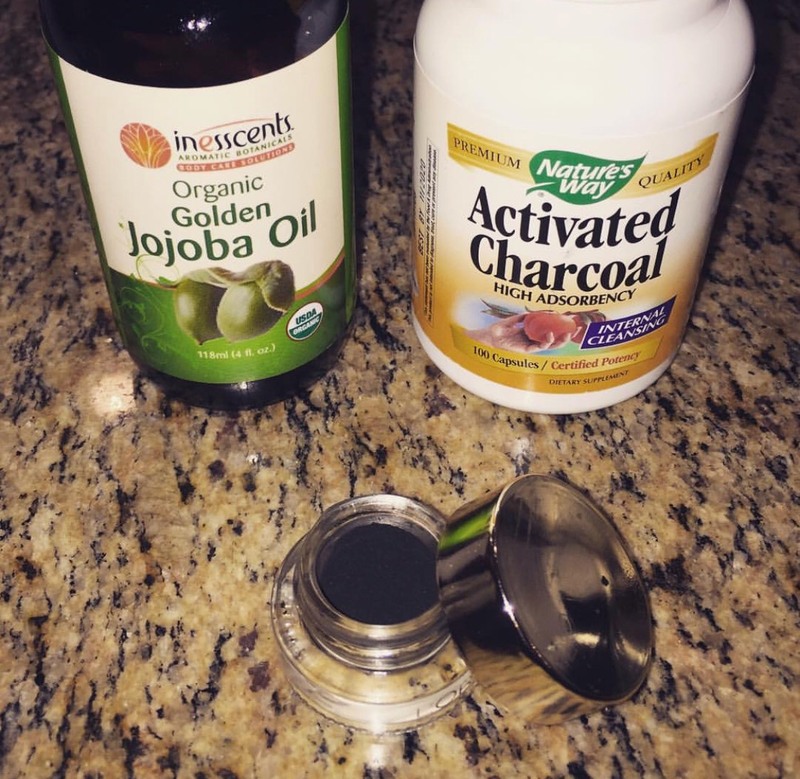 I got this into my eyes because I did not dilute the charcoal enough with jojoba oil. I had the same reaction (tearing) as if I got a store bought mascara/eyeliner into my eye. To avoid this, make sure you have enough jojoba oil or water mixed in the the charcoal on your brush where it the charcoal powder is not loose.